Home » managed services programs (MSP) » a practical guide to managed services programs (MSP). The many benefits of flexible talent, accelerated by the current wave of technology innovation, are helping businesses become more agile and powerful in these disruptive times. Most likely, your organization is undergoing the same transformation. 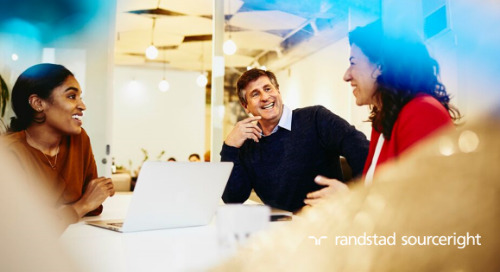 According to Staffing Industry Analysts (SIA), the average U.S. contingent workforce buyer says 22% of its workforce are non-permanent, and this component will grow to 29% by 2026. 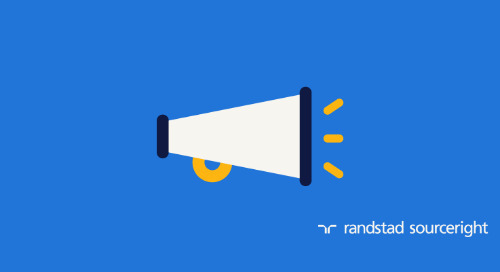 In Randstad Sourceright’s 2018 Talent Trends survey, 57% of C-suite and human capital leaders around the world expect to shift more roles to contingent status in the near future. According to McKinsey, up to 30% of the workforce in the EU 15 and the U.S. are independent workers. While the rise of flexible talent is a boon for employers everywhere, it also adds complexity. 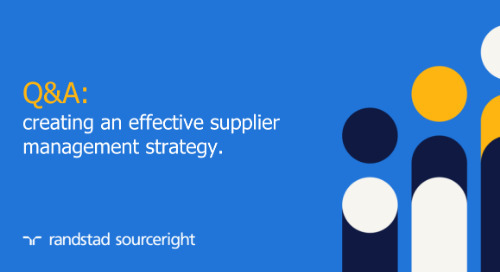 How can companies optimize contingent resources to drive business value? How can they incorporate independents, contractors and other types of workers in a holistic approach to workforce management? What are the technological competencies that businesses need to effectively source, deploy and track workers in their organization? 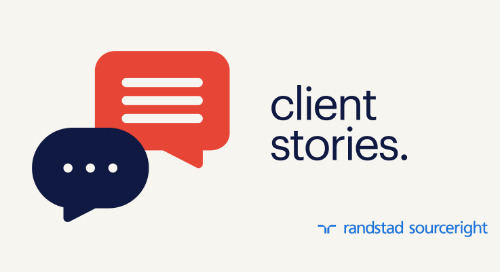 For answers, employers are turning to managed services providers (MSPs). 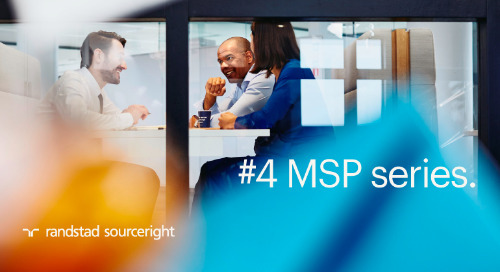 MSPs have always been an effective resource for improving time to fill, enhancing quality of talent, improving insights on labor spend and ensuring robust workforce compliance. Providers today are even further expanding their value by helping businesses reinvent their talent models. 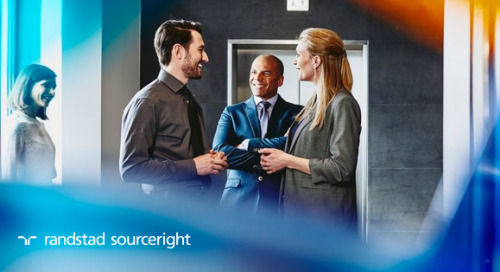 As strategic resourcing advisors, MSP partners can help determine the right type of resource for virtually every business need and position, as more employers move toward an integrated talent model. How can you leverage the power of a managed program? From a deep examination of managed models, to building a business case to enhancing a current program, our MSP Playbook provides a comprehensive look at all the components for a successful engagement. 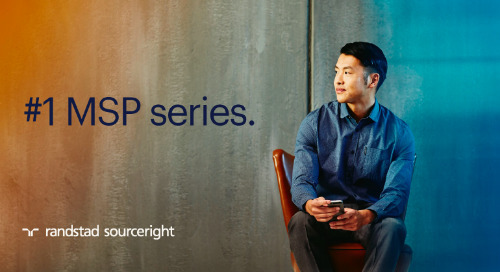 You’ll gain critical insights to help your company truly optimize contingent talent utilization and prepare for a more holistic and effective approach to deploying today’s fastest-growing workplace resource. Growing workforce complexity is placing an even greater burden on employers’ internal resources. According to a 2017 SIA survey of flexible talent buyers, the number of contingent workforce managers who say they spent at least half of their time on contingent workforce related responsibilities since 2004 has more than quadrupled. In 2016, two-thirds fell in this category, compared with 16% 12 years earlier. What does this mean for your organization? If yours is like most companies, you’ve seen growing utilization of non-fixed talent, more talent suppliers to manage, a larger pool of workers to track and increasingly opaque processes. As a result, the resources needed to administer your program could be ballooning. 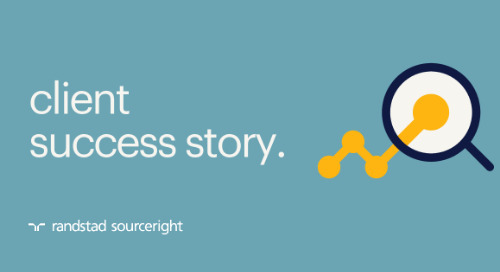 It’s no wonder managed services are one of the fastest-growing outsourced talent acquisition solutions in the market today. According to Everest Research, the global MSP market grew 10.1% from 2015 to 2016, and indications are that it will continue to outpace global economic growth. This is because buyers at all levels of contingent workforce sophistication are turning to managed services to enhance outcomes. More recently, long-time MSP buyers are asking providers to transform their programs to be more talent-centric, rather than just focus on process improvements. 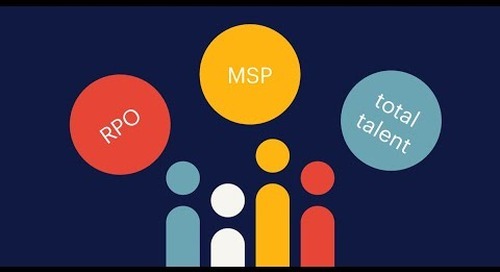 At its most basic service delivery level, an MSP helps employers improve process efficiency, boost talent supply chain effectiveness, control costs and achieve better access to talent. Through a technology stack, MSP solutions also provide visibility of most contingent talent and predictive insights about utilization. 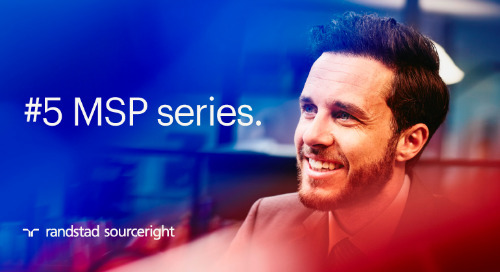 An MSP may cover the entire life cycle of all or a portion of an organization’s contingent workforce program, including supply chain management, onboarding, timekeeping and invoicing, and contract termination and offboarding. This comprehensive approach enables the service provider and client to monitor all aspects of engaging flexible talent. 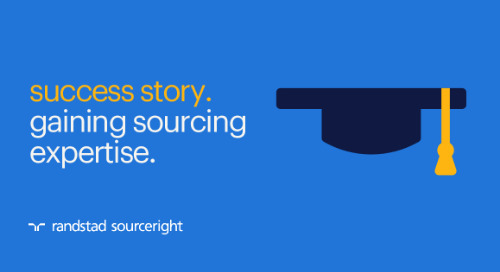 By leveraging the process excellence, innovative technology and subject matter expertise of the service provider’s experience, MSP buyers can more quickly assure consistent and transparent talent acquisition processes. 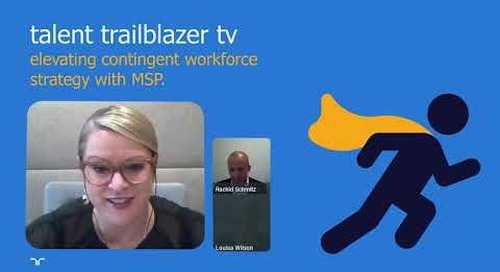 Furthermore, they can better focus on attracting the best talent for their organization, rather than on just tactical tasks, with the MSP helping to direct source workers. Employers also can turn to MSPs to mitigate risks and support compliance with all applicable regulations. For instance, an MSP can help ensure flexible workers are not misclassified as contractors if they actually qualify as employees. Determining employment status, if left unmanaged, can lead to government fines, back taxes, and image and reputation issues. 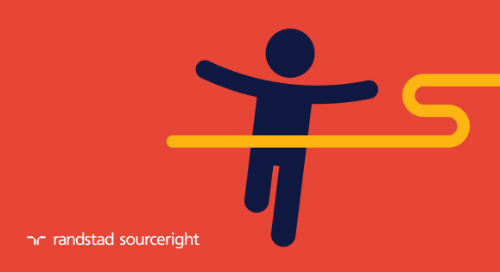 5 questions: have your contingent talent needs outgrown your management strategy? Is managing your contingent workforce growing more complicated? Are you engaging more flexible labor today than in the past? Have regulatory changes made you more concerned with compliant labor practices? Do you have a clear view of contingent workforce spend throughout your organization? Are you able to secure contingent workers in the timeframe that business leaders need them? MSP programs typically fall into one of three categories: vendor neutral, master vendor and hybrid. However, over the past few years, more models have emerged as part of an integrated talent solution. 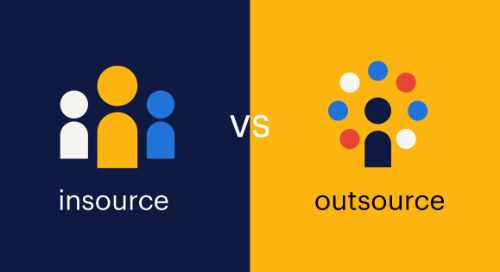 Onekey driver is the trend of direct sourcing, which allows employers to reach talent through the human cloud, its own contingent talent pool or other mechanisms. In a vendor-neutral model, all suppliers are given an equal opportunity to fill a role. In a master vendor program, the master vendor is given preference to fill a position first and then must release it to the other suppliers if it can’t do so within a specified time limit. A hybrid model contains elements of the first two. A significant benefit of an MSP program is its cost advantage. Typically, MSP and vendor management system (VMS) partners charge a management fee, but some programs are paid by the suppliers in the form of a transaction fee. 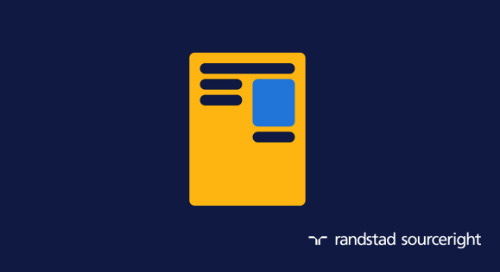 MSPs typically establish rate cards at the time of implementation to ensure suppliers don’t pass their fees back to the client. The transaction fees alone may more than offset the management fees, but the client may also choose to pay for part or all of the fees. Understand how your organization’s use of contingent labor is evolving and its impact on workforce compliance. Identify the drivers that will have the greatest impact on your contingent workforce program within the business. Decide if internal investment in your program is sustainable and will achieve the desired cost savings and process improvements.